2. Inside Your Book. 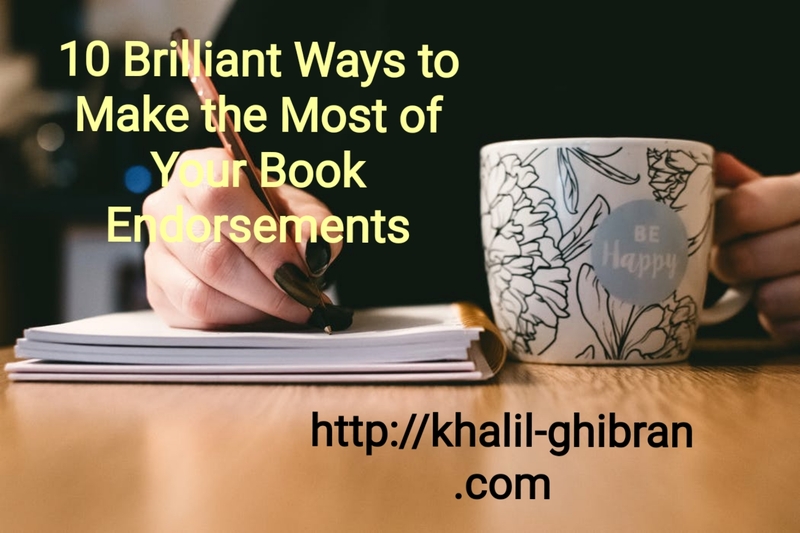 Place pre-publication endorsements on a page or two just inside the front cover of your book. If you don't have pre-publication blurbs, consider adding your blurbs on your next printing. 3. "What Others Are Saying" Page. Collect your best endorsements and reviews on a single page and include it in your media kit. Positive endorsements will increase your press coverage. 4. Promotional Materials. When creating postcards, bookmarks, flyers, brochures and other give-a-way items, include an endorsement. They send the message, "Don't take my word for it, this is what others think of my book." 5. Tip Sheets: Create a tip sheet to include in your media kit and as a handout. Tip sheets, sometimes called a "One Page," include four basic elements: About the Book, About the Author, Book Statistics, and Order Information. A callout box or sidebar with a blurb about your book is an excellent addition. 6. Website. Include call out boxes or sidebars on your website that contain your endorsement quotes. Boxes add interest to your website. Your site visitors will view them as testimonials from others adding a level of trust. 7. Email Signature. Endorsements included with a link to your website draw interest and attention to your email signature. 8. Advertisements. Include a quality endorsement quote or two in all your print and online advertisements. 9. Query Letters. 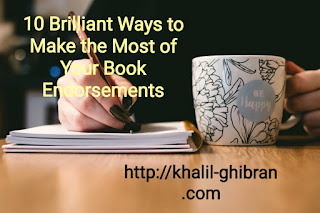 Include an endorsement or two in query letters when selling editors on stories connected to your book. 10. Press Releases. Use endorsements as quotes in your press releases. This will add interest and value to your book related news items. Additionally, a great endorsement from a recognized name, is press release worthy on its own.